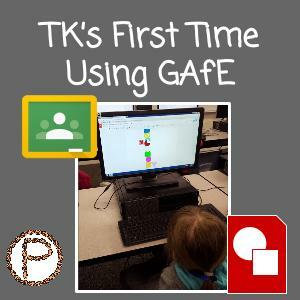 The first time my spring transitional kindergarten (TK) students used GAfE was about two and a half months into their school year. They started with me in January, and they did their first GAfE activity in mid March in the computer lab. They had gotten practice with using the mouse once a week in the computer lab by playing educational games, but I felt they were ready for more. I always wanted my students to be creating and producing with technology. I knew they had it in them to do more, I just didn’t know how to present the opportunities for them. This is when the power of a PLN (professional learning network) comes in handy, because you can have a network of resources beyond your current circle of colleagues. 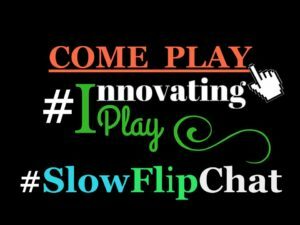 I had my wondering thoughts: Am I crazy for trying GAfE with the kids? How is this even going to be possible? What if this doesn’t work? 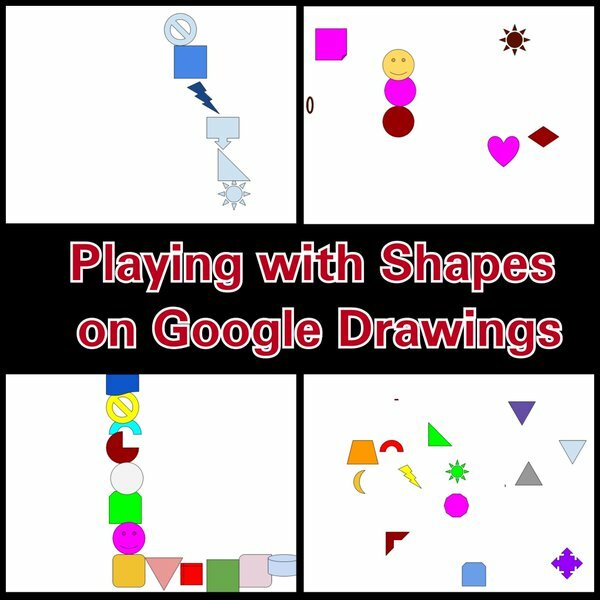 I was playing in Google Drawing at a GAfE Summit and came to the realization: inserting shapes is not hard. This is something my TK kids can do. I told myself that I was going to do what it took to give my kids the opportunity to try, because they deserved it. As teachers, we have to be willing to go the extra miles to try things with our students. How else will they grow? How else would we become better teachers? TK students (4 and 5 year olds) inserting shapes in Google Draw. The first time the kids tried GAfE was in the computer lab! First, I did the best I could to explain Google Classroom in littles’ language. Google Classroom is like our classroom except it’s on the computer. You have a job to do in Google Classroom, just like you do in centers. When you are done, there’s a button that lets you turn it in, like when you put your work in your cubby. Then, they huddled around the teacher computer as I modeled how to navigate through Google Classroom and how to insert the shapes in Google Drawing. I repeated the steps two more times after that so they could orally tell me back some of the directions. Before I released them to their computers, I told the kids I was proud of them for trying something new…working with “computer stuff” that the “big kids” use. I assured them that I would be walking around to help them if they got stuck on something, and that if something “gets messed up” we can fix it. Google Classroom was loaded on their desktops. I had two goals for them that day: navigate through Classroom and insert shapes on Draw. Had I known of the login tricks that I share with everyone now, the kids would have had the chance to login that first day. I was so proud of my littles that day! They navigated through Google Classroom to locate and open the Google Drawing assignment, inserted the shapes AND changed their colors. Some of them even moved the shapes around after they placed them. My kiddos tackled the goals I set for them. Starting simple was a good move – This gave me insight of what the kids were able to do and how well they were able to retain and follow directions after I modeled what they were going to do. 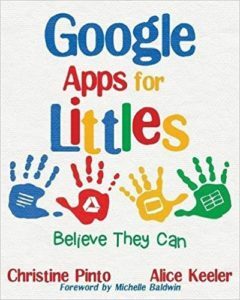 When the kids are starting out with a new application (including the other Google Apps), make the first task simple. The kids need to explore! When they see that you believe, they will believe in themselves – I wanted to instill the confidence in my kids that they could do it. I set up a safe haven for them before they went to try out the task. After I gave them a bit of a pep talk, they walked away with smiles…they weren’t afraid. Build on the next task – I took my new knowledge of what the kids could do and thought of ways to build on the tech skills they had. Those tech skills needed to be exercised while the kids would be working towards a learning objective. I wouldn’t wait as long as I did to get the kids on GAfE. For the kids, any exposure and early practice doing essential tasks, such as logging in and inserting stuff, is a good thing. Don’t hesitate to reach out to your PLN or even to me if you want to run your ideas by someone or ask questions. Contact me via Twitter @pintobeanz11 or email me at teacherpintobeanz@gmail.com. This entry was posted in Digital Literacy by Christine Pinto. Bookmark the permalink.